Add your own activity or project. The topic of this year's "Cities for Europe" conference was "Committed to Europe" and dealt with the responsibility of cities and their citizens for Europe with a special focus on the upcoming European elections in May 2019. 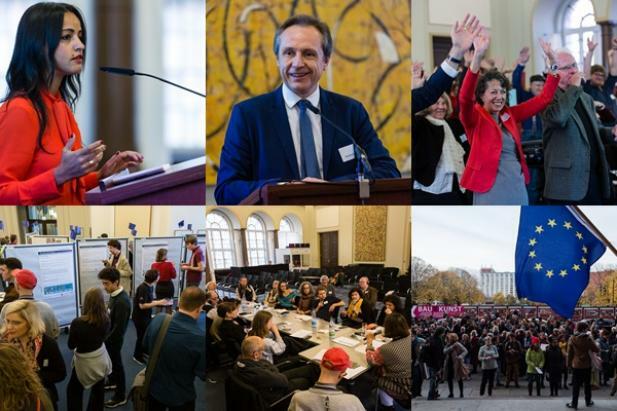 120 committed Europeans, projects, initiatives and interested citizens from all over Europe met on Saturday 10 November 2018 in Berlin City Hall and discussed the following questions: How can the citizens commit themselves to Europe? What can cities and municipalities contribute to a united Europe? What is the special role of culture? The conference was opened by Sawsan Chebli (Federal Representative for Berlin and Secretary of State for Civil Engagement and International Affairs), spokesperson Brigitte Russ-Scherer (former Mayor) and Volker Hassemer (Chairman of Stiftung Zukunft Berlin, former Senator). Referring to the Brexit and the emerging nationalist forces in Europe, Ms Chebli stressed how important cities and their citizens are for Europe, especially when the national governments threaten them. Ms Russ-Scherer also took up current challenges of the European Union, but at the same time expressed her confidence, as pro-European initiatives and projects that advocate a united Europe are forming. Less optimistic and with a very direct call to action, cultural scientist and sociologist Caroline Robertson-von Trotha (Karlsruhe Institute for Technology) spoke of urgently needed networking and productive use of resources: "The main responsibility for a diverse Europe lies with the cities. They need the support and consistent cross-border exchange as well as close cooperation between politics and civil society, industry and science". Christophe Rouillon, Mayor of the French city Coulaines and Vice-President of the Committee of the Regions, stressed the importance of friendships between cities and citizens. The strategy of his city above all is to work very closely with young people and schools. The city of Coulaines invests 30 percent of its budget in the education sector. Afterwards, six different initiatives and projects were presented to the plenary. Among them was the Advocate Europe winner 2018, "Democracy Fitness". Subsequently, the central questions of the conference and strategies for future action were discussed in three workshops. 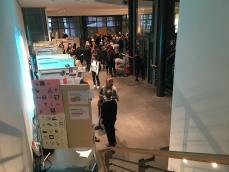 This year, 31 initiatives from civil society, education and culture presented themselves at the EUROPEAN MARKETPLACE. The projects had the opportunity to network with each other and to join forces for future collective campaigns. The colorfully designed partitions were visually supported by monitors that illustrated the work of the initiatives in various videos. The event ended with the artistic proclamation of the "European Republic". The "European Balcony Project", initiated by political scientist Ulrike Guèrot and writer Robert Menasse, took place simultaneously in 150 cities all over Europe. At Berlin City Hall, around 200 people joined the proclamation by Berlin actor Christian Dieterle, who, accompanied by two trombones, proclaimed the Republic in German, French, English and Italian. Afterwards, the Ernst Senff Choir sang European songs. Symbolically, the visitors could create a fictitious passport of the proclaimed European Republic. The topic of the conference was the responsibility of cities and their citizens for Europe with a clear focus on the special challenges for Europe six months prior to the 2019 European elections in May 2019. European cities and European culture play a fundamental role in determining the future of Europe - particularly at this point in time, when the 2019 European elections are only half a year away. What have cities and their citizens achieved for Europe? How to increase the impact of civic engagement? How to activate citizens for Europe? How to involve the respective urban community in this commitment? What can cities and their citizens do on a local level to increase participation in the European elections as well as to support pro-European forces? What ideas are available in local structures and networks and how can they be used effectively? What is the role of town twinnings? Which networks on a local and a European level provide an opportunity for collaboration? How to increase the number of cities that are active for Europe, and how to pool their strengths? 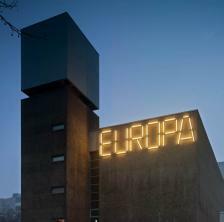 Which role do the European Capitals of Culture play in these efforts? Which initiatives and projects can be transferred to other European cities? In addition to a keynote speech, the presentation of a few cities' exemplary strategies and approaches, and the EUROPEAN MARKET PLACE - in which initiatives and projects can presented their work - the conference offered participants various occasions for networking and to exchange experiences. We also looked forward to a special intervention by The European Balcony Project. Watch the recorded Livestream of our Conference on the top of this post or directly on Facebook and follow #CommittedtoEurope on Twitter. Schedule and all further details in the post below! Within the conference „A Soul for Europe 2017“ the initiative „Cities for Europe“ organized one part of the program in which they examined the question by what actions cities are able to enhance Europe’s strength. The following issues were discussed: How are different political levels – locally, nationally, continentally – dealing with their responsibility for Europe? What contributions are citizens able to make and how could one activate them to participate?The conference started with an opening statement from Juan Gabriel Vásquez (Author) and Karl-Heinz Lambertz (President of the Committee of the Regions), showcasing the discrepancy from an artistic and cultural point with a political view. Juan Gabriel Vásquez made an appeal to use social media as an instrument to shape Europe’s narrative, whereas Karl-Heinz Lambertz focused on the mutual benefit of cities and regions and the European Union: As the EU has an impact on cities and regions, so should the cities and regions have an influence on the EU. Following the keynotes, an open debate on the topic “How can cities and citizens strengthen Europe?” took place which led to a discussion between members of the civil society (Urzula Bertin, Pulse of Europe), local politicians (Michael Cramer, MdEP), Karl-Heinz Lambertz (Committee of the Regions) and cultural representatives (Søren Schumann, rbb/arte). This talk was moderated by speakers of the initiative Brigitte Russ-Scherer (former Mayor of Tübingen) and Hella Dunger-Löper (former State Secretary for European Affairs, City of Berlin). Beside the dialogue between politic, culture and civil society on a local and on a European level was another main focus the presentation and exchange of best-practice strategies for projects on a European level. “Marketplace Europe” was an exhibition on partition walls of 33 successful projects and approaches from different European cities and municipalities. These projects were given the opportunity to show their approaches, goals and achievement on posters and as films on one of four visual display units. Project representatives informed in one-to-one conversations about their projects. The participants used this opportunity, to exchange ideas and information about their work. 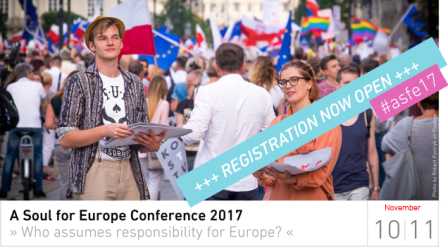 The “A Soul for Europe“ Conference takes place on November 10th and 11th for the ninth time this year. Its topic “Who assumes responsibility for Europe – How citizens, cities and parliaments should cooperate for Europe” will initially be publicly discussed on Friday evening at the inaugural event at the Allianz Forum. Representatives from all levels of political responsibility will be in attendance and present statements, these include: Emil Boc, Mayor Cluj-Napoca; Rüdiger Kruse, MdB; Karl-Heinz Lambertz, President Committee of the Regions; Jo Leinen, MEP; Gerry Woop, State Secretary for European Affairs, City of Berlin and the artist Juan Gabriel Vasquez. Just as in the years previously exemplary civil society projects and initiatives that aim to take responsibility for the European Project will be presented at the European Marketplace. This years’ projects span from Project N.N. from Novi Sad, a cultural center at the periphery of Serbia’s second largest city, to the European Solidarity Corps, who are bringing together young volunteers with projects all over Europe, as well as 70TK, an initiative to preserve and rediscover the cultural heritage of Tatavla, a traditionally Greek-Armenian neighborhood of Istanbul. The questions the European Marketplace aims to address are as follows: How can one describe the “local” Europe? Which projects and initiatives manage to strengthen the peaceful coexistence and tolerance in different city districts? Which projects and initiatives succeed in reducing prejudices? What can culture contribute to enhance integration locally? And how do local projects support the European Project? On Saturday, 11th of November, we will be approaching the main question of the conference: “How citizens, cities and parliaments should cooperate for Europe” through a variety of formats including panel discussions, kick-off speeches, artistic workshops and project presentations at Radialsystem V. Representatives from various areas and levels of politics and society will be present, including Martina Michels, MdA; Radomir Lazović, an activist from Belgrade; the author Priya Basil; Michael Cramer, MEP); spokespeople of various European projects as well as the actress and director Leni Huyghde. The workshops will be held in parallel and fall into three thematic tracks: “Cities for Europe”, “Europe from the Bottom-Up” and “Arts & Politics – A Good Match?”. To put it in a nutshell, the conference aims to shift focus to the constitutive role of citizens and urban communities and to connect this foundation of European development with other levels of responsibility. Everyone is very welcome to join in the discussion, contribute ideas or to just listen. Conference attendance is free of charge, however, registration is necessary. In preparation of the conference you can already join our online debate today. Please also join our Facebook event that will be updated on a regular basis. 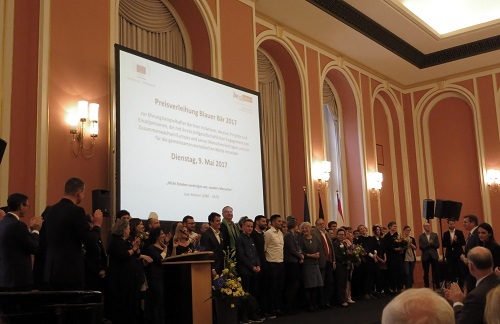 On 9th May 2017, the Eu ropean “Blauer Bär” was awarded for the third time. In the third year, the "Blauer Bär" pays homage to Berlin and Brandenburg initiatives, associations and for outstanding civil society commitment in and for Europe. 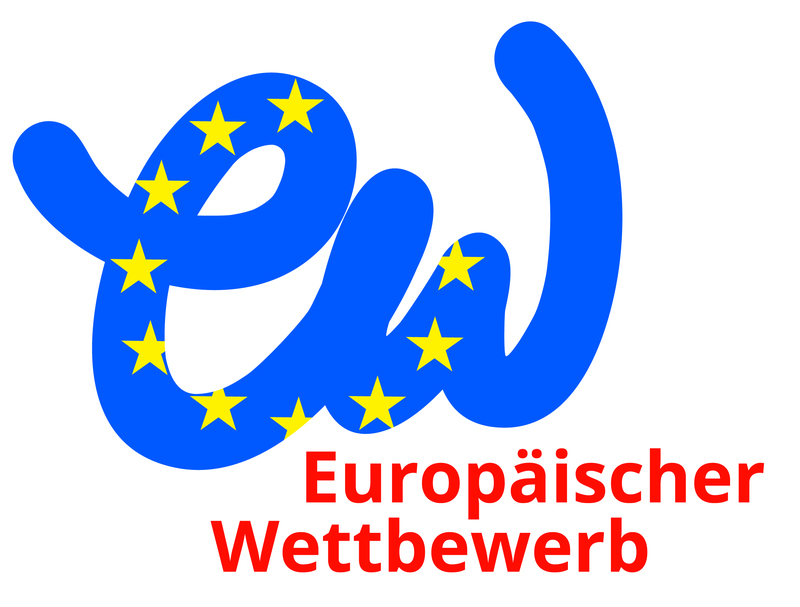 The prize is awarded by the Senate Administration for Culture and Europe and the Representation of the European Commission in Germany. This year there were 21 nominees. Three particularly successful ones were carefully chosen and awarded the prize. The two small bears went to the Junge Europäische Bewegung Berlin-Brandenburg e.V. and the Club der polnischen Versager e.V.. The large “Blauer Bär” was awarded to the Berlin team of Pulse of Europe. We as Cities for Europe attach importance to the “Blauen Bär” award, because it shows excellent European projects in European cities. 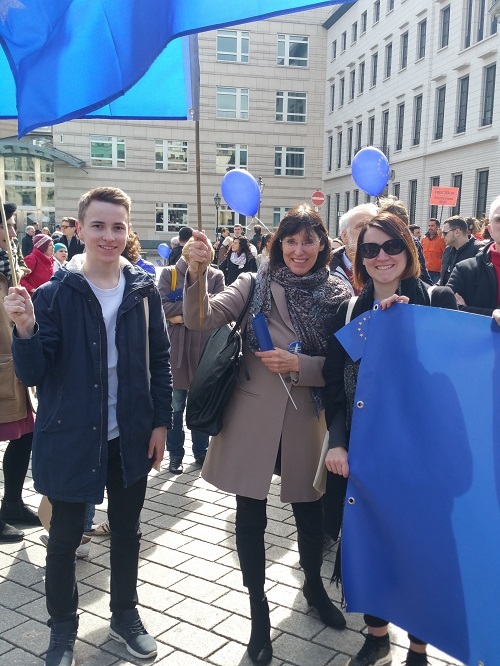 On 25th March 2017 Brigitte Russ-Scherer participated at the Pulse of Europe demonstration in Berlin and delivered a speech for Europe. The Pulse of Europe rallies take place,in more than 90 European cities every Sunday and unite European citizens who demonstrate as a European community for a Europe, which is based on respect for human dignity, the rule of law, freedom of thought and action and tolerance. We are looking forward to further cooperation in the future. You are welcome at the Gendarmenmarkt every Sunday at 2 pm! 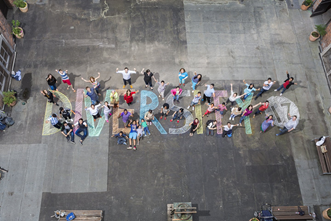 To set a sign for diversity and against racism is the aim for the International Weeks against Racism. The action weeks take place every year around the International Day against Racism on March 21 which was established since 1966 by the United States. The foundation „International Weeks against Racism“ requests participation of around 70 institutions and organizations throughout Germany. This year it starts on 13 March 2017 in the Intercultural Centre in Heidelberg. This centre participated through exemplary initiatives to the welcoming culture and the integration process and invites all the institutions and actors of the civil society to engage actively in order to strengthen the diverse urban society. See for further information: internationale-wochen-gegen-rassismus.de. How can cities contribute to the strengthening of Europe? How can cities fight borders and prejudice? And how can citizens be filled with enthusiasm for the European Union and go into action against right-wing populist and anti-European movements? These were the central questions of the keynotes, workshops and discussions. Mrs. Hella Dunger-Löper, Former State Secretary for European Affairs of Berlin, welcomed the participants of the conference and pointed out the importance of the cities in the heart of Europe. Richard Kühnel held the engagement of the European Civil society presented by the projects in high regard and referred to the not negligible conflicts in the neighboring European countries. Introduced was the conference by the inauguration speech by Prof. Dr. Oliver Jens Schmitt of the University of Vienna about the “Cultural division of Europe”. 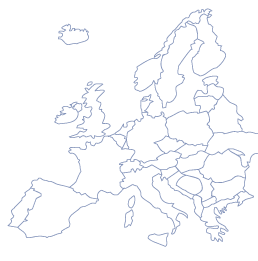 He referred to the division of the western and eastern countries of Europe as well as the differences between an “inner” (the member states of the European Union) and an “outer” Europe (Turkey, Russia). The main focus of the conference was placed on the exchange between politics, culture and civil society on a local and an European level. Furthermore the presentation and the exchange of project examples and strategies in the European practice should be emphasized. The “Marketplace Europe” presented 21 successful projects and promising approaches out of the most different municipalities of Europe in an exhibition in the rotunda of the Allianz Forum. The projects were given the possibility to outline their approaches, aims und successes with posters and videos. During the three workshops all the participants were encouraged to come together in conversation in small groups. The diverse conference formats providing many opportunities for interaction were very positively received by the conference participants. Most initiatives and active citizens especially used the opportunity to network. Nearly 100 Peaople came to St. Agnes Church in Berlin for the opening of the light installation EUROPA on an early Saturday evening, November 26th 2016. From there, the installation consisting of 33 fluorescent tubes will shine in the coming months as a bright sign FOR EUROPE, before the installation is to move on in the spring of 2017, according to the will of the initiators Caro Baumann and Johannes Schele. The St. Agnes Church is an imposing edifice that houses the exhibition space of the renowned KÖNIG Gallery. The installation was financed, among other things, through tube sponsorships from friends, sponsors and partner companies. The German Architecture Center also supports the project. The renowned curator, author and artist Lukas Feiress spoke at the opening. 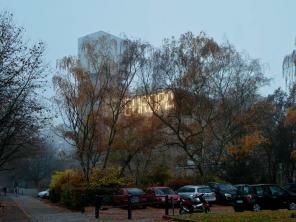 For the two initiators, architects Baumann and Schele, the current situation in Europe is so negatively loaded with problems that they consider a positive sign as necessary. From their point of view, Europe lacks visibility, public presence and positive resonance. With their individual commitment - and this concrete contribution to Europe - they want to set a clearly visible sign in Berlin FOR EUROPE. The well-visible installation is intended to stimulate talks and debates and, in particular, invite the inhabitants of the district to discuss the current situation in Europe.